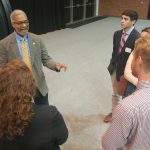 State Health Commissioner Dr. M. Norman Oliver is touring Virginia this month and next, making several stops in partnership with the Commonwealth’s institutions of higher learning and local health districts. 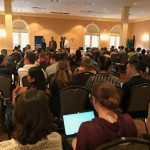 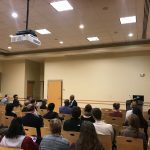 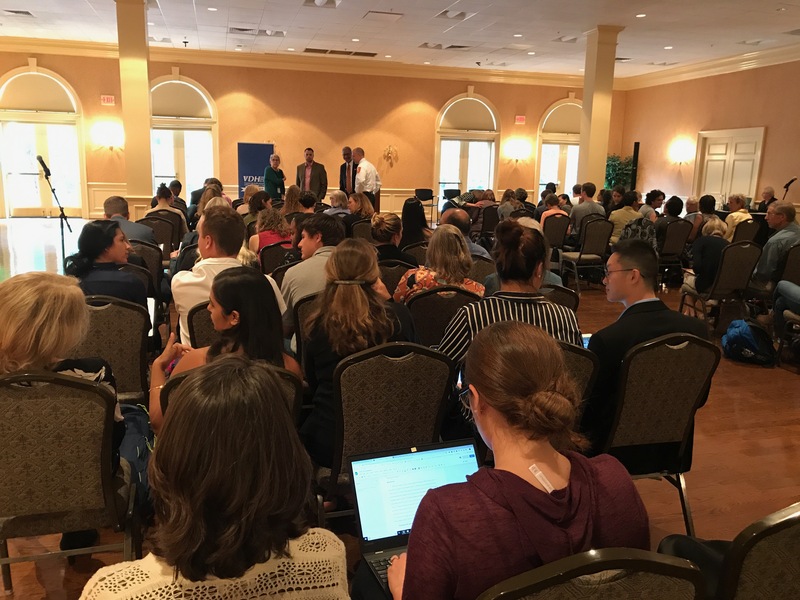 Dr. Oliver kicked off his 2018 Listening Tour in Charlottesville Oct. 10 at the University of Virginia, with a town hall discussion about the history of public health in Virginia and more importantly, about what community members and leaders feel should be the focus of public health in the future. 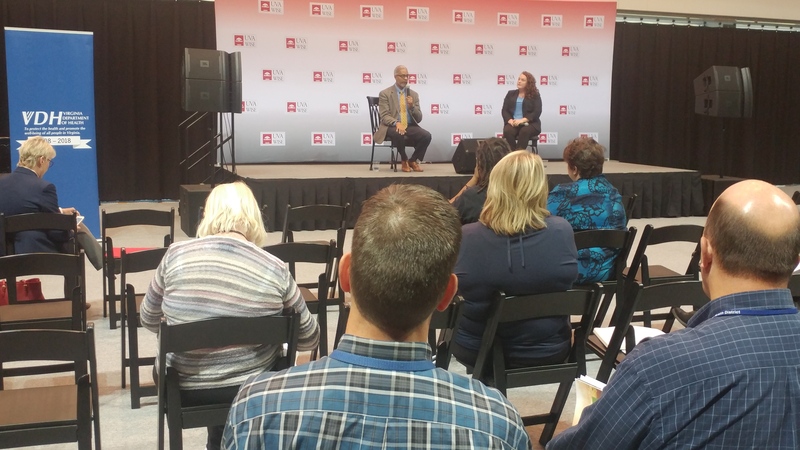 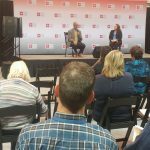 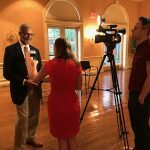 Tell Dr. Oliver your thoughts and ideas about the future direction of public health in Virginia as well as any issues and challenges you feel are barriers to improving the health of your community. 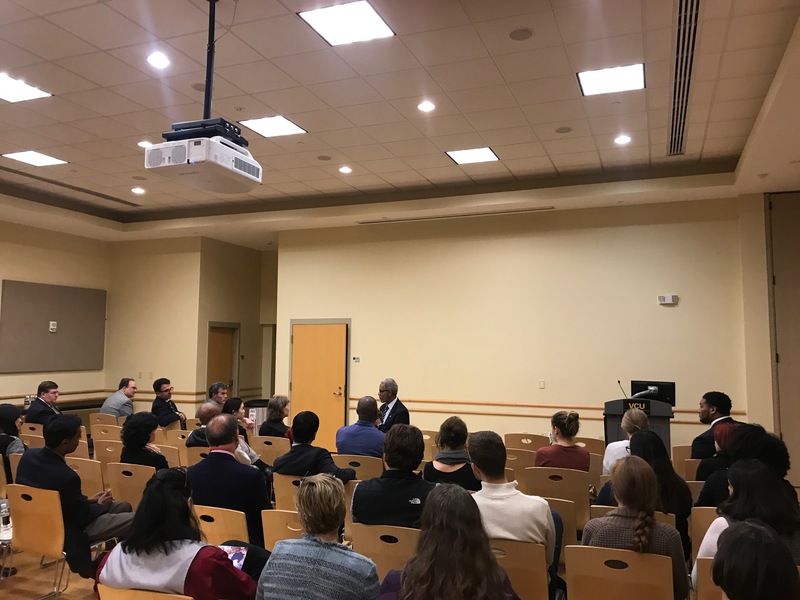 Dr. Oliver speaks to a crowd at UVA. 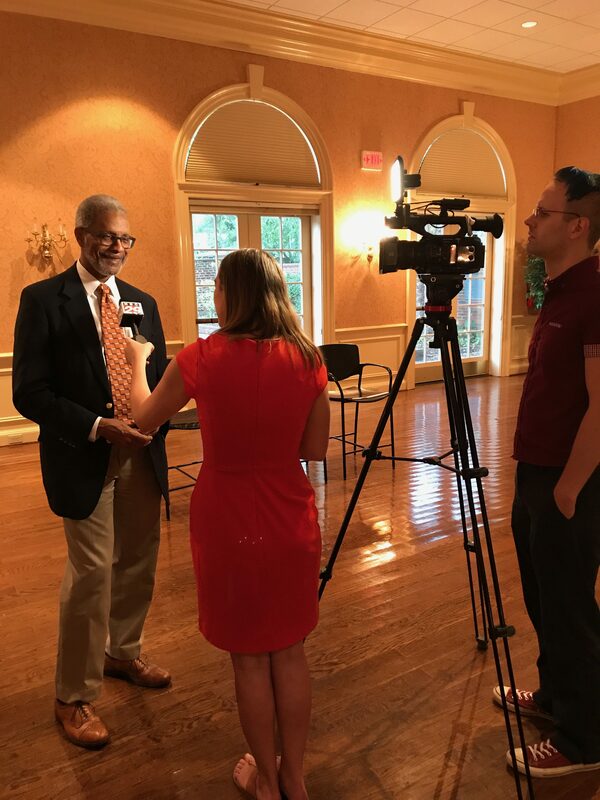 Dr.Oliver being interviewed by local media following his UVA event. 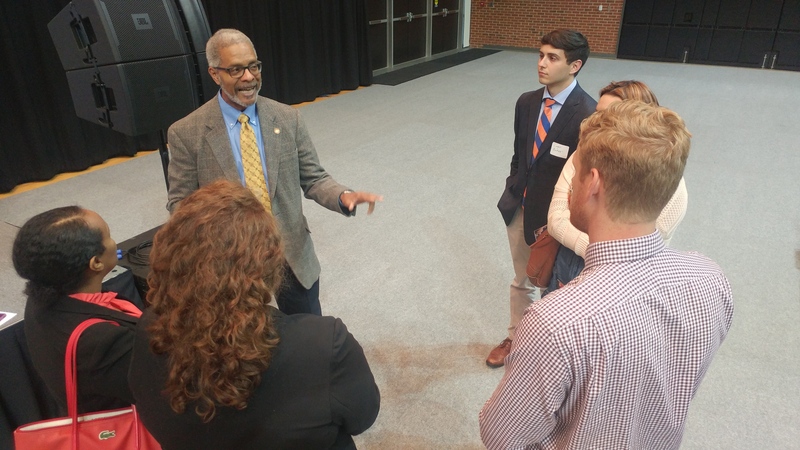 Sr. Oliver speaking to a small group after the town hall.